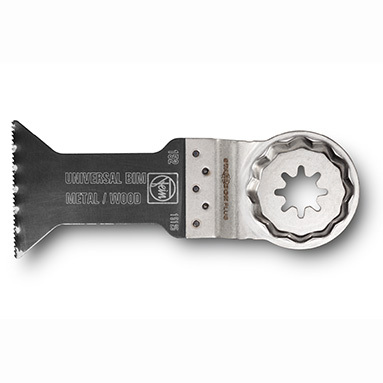 Fein E-Cut Universal bi-metal saw blade. For cutting sheet metal up to 2mm, wood up to 50mm, plastics, copper or aluminium pipes and profiles. Blade width: 44mm. Length: 60mm. Blades supplied individually (not in blister packs).